Clean and smart casual clothing is always acceptable on the course and in the clubhouse. On the golf course, golf shoes are obligatory but may not be worn in any upstairs part of the clubhouse. Sports shirts must have collars, polo neck or turtle neck and sleeves. Round neck shirts with a collar at least one inch wide may be worn. Caps are never permitted in the Clubhouse. 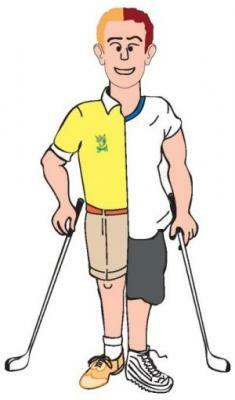 Tailored shorts are permitted on the course with long or sports socks and in the Lounge between April and September. Blue denim is not allowed on the course. No soiled clothing or work attire is allowed in any upstairs part of the clubhouse. Mobile phones are not permitted to be used in the 19th bar, lounge or restaurant and only on the golf course in the case of an emergency.